Please follow these guidelines when submitting artwork to our Graphics Department for production. 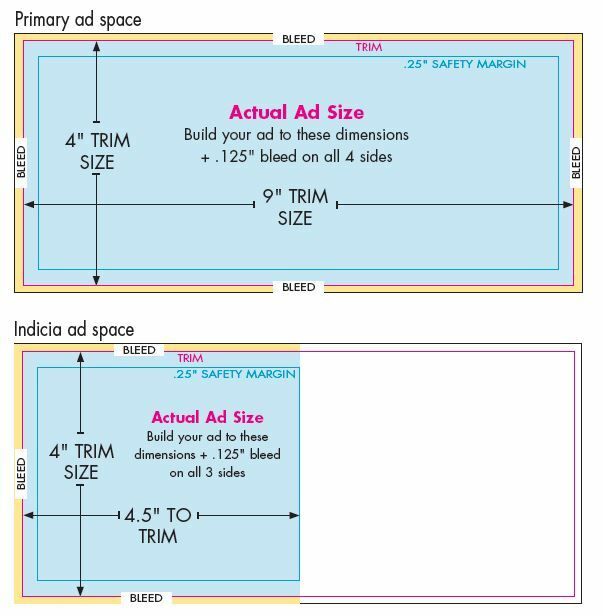 Ads must be built to the ‘Actual Ad Size’ dimensions. Do not include margins within your ad. 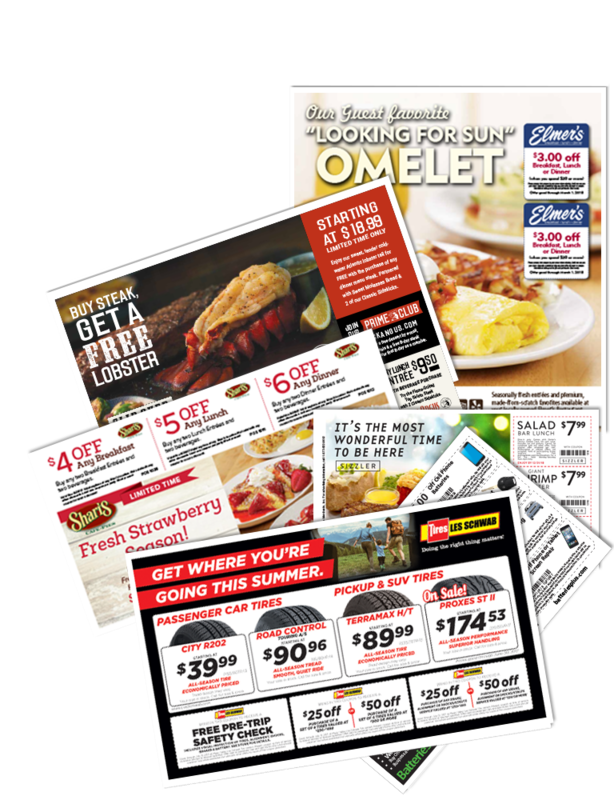 Margins are already incorporated outside of your ad space for products that don’t bleed (see example below). 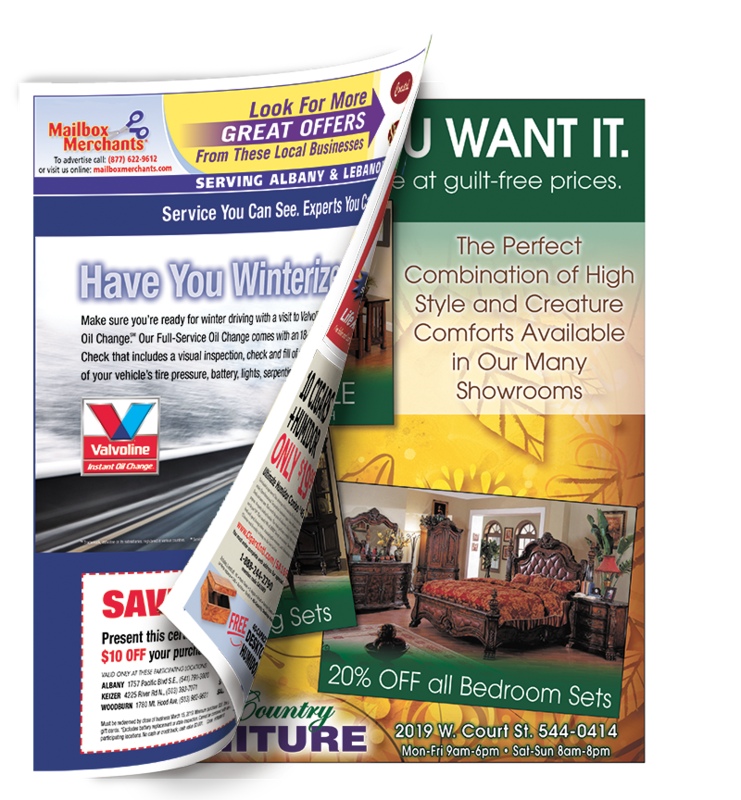 Our “We Print Inserts” make it easy for you to mail professionally produced full-color inserts. With a variety of sizes and paper stocks to choose from, you decide what best suits your needs and your budget. Target your best response areas by choosing individual zip codes for mailing. 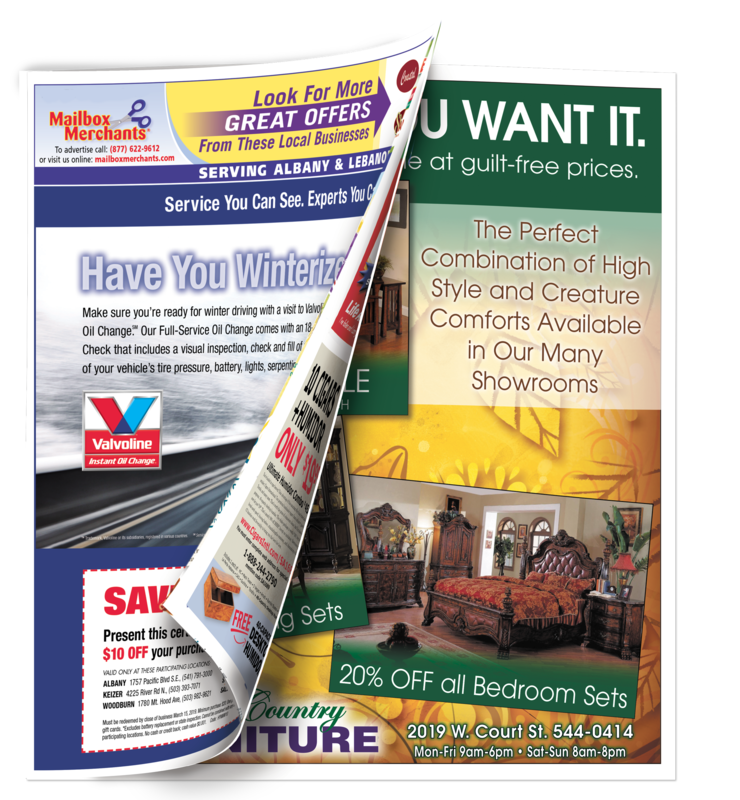 We accept print-ready ads & art in the following Macintosh-based formats: Adobe InDesign, Adobe Illustrator, Adobe Photoshop & Adobe Acrobat.  Your file may not be accepted if it is not created in one of these graphics programs. Please follow these guidelines when submitting artwork to our Graphics Department for production. 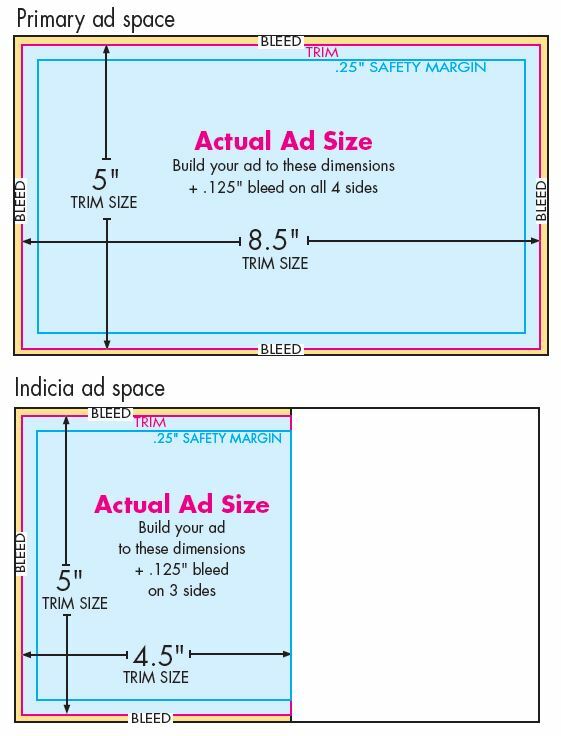 Ads must be built to the ‘Actual Ad Size’ dimensions, plus bleed. 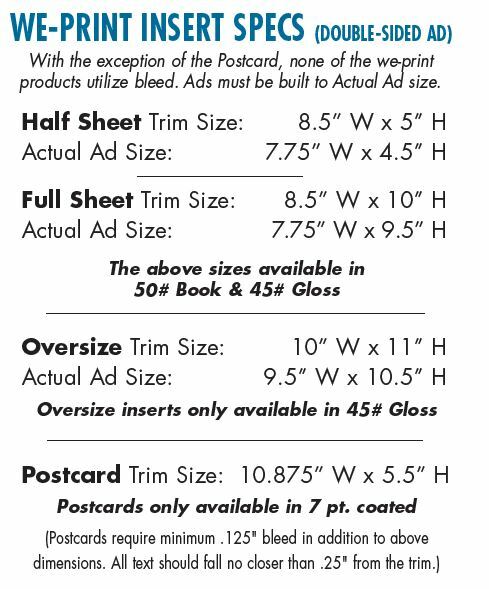 Smart Cards require minimum .125″ bleed in addition to above dimensions. 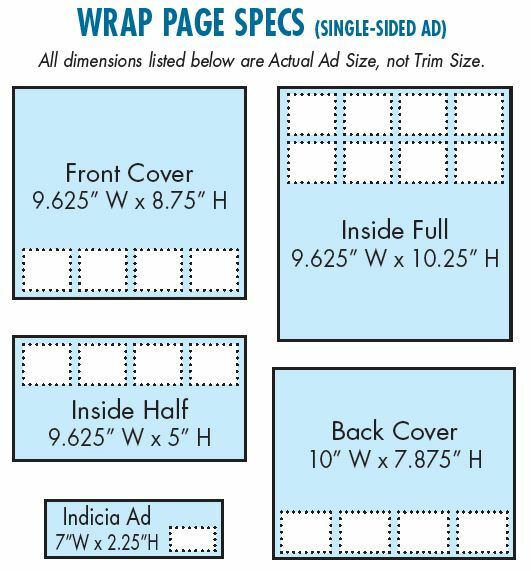 Indicia ad space bleeds on 3 sides. All text should fall no closer than .25″ from the trim. 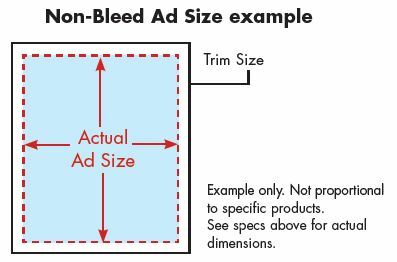 Smart Cards require minimum .125″ bleed in addition to above dimensions. Indicia side space bleeds on 3 sides. All text should fall no closer than .25″ from the trim. • A stuffed file (or PDF) via e-mail.  Please notify our Graphics department at (877) 622-9612 of the method you will be using and when to expect your file.